Looking To Invest In Slate Floor Tiles? Are you looking to update your floor tiles in 2019? Slate is a timelessly popular material that never goes out of style. It’s offers that winning combination of stunning looks and durability, which is why it’s been used for hundreds of years as a building material. Many people have slate tiles installed and find they look immaculate decades later. A fine-grained metamorphic rock made from silt and clay, slate is a naturally dense material that’s both low-maintenance and stain-resistant. This makes it ideal for anyone looking for tough and attractive floor tiles. Choose from slate tiles in three shades including black, grey-green and multicolour. 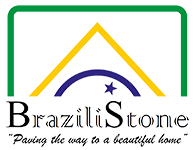 Brazilistone specialise in Brazilian slate tiles and paving, cladding, hearths, flagstones and large slabs. As paving slab specialists, we’re dedicated to helping you use this material in your home. We also have a range of ancillary products for taking care of slate, including LTP Mattstone sealer that provide a natural matte finish. 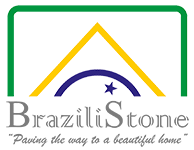 Our team have been in this industry over 10 years and can offer all the advice you need. Whether you’re decorating your kitchen, bathroom or garden, we can talk you through the options we have available. Our tiles are particularly popular for modern spa-like bathrooms. Why not discover more about our slate floor tiles today?